A multimanager approach can help increase diversification, says Kathrin Forrest, a portfolio manager with Sun Life Global Investments Inc.
It’s hard to find an advisor who doesn’t love picking stocks. It’s challenging, it’s a good conversation starter with clients and it shows that the advisor is watching the markets. However, with clients demanding more financial planning help, such as estate and tax planning versus just investing – advisors have less time to individually add companies to a portfolio. Simon Tanner, a financial advisor with Vancouver’s Dynamic Planning Partners, is one advisor who’s taking a different approach to investing – he’s buying managers instead of stocks. “A fund manager is the first thing I look at,” he says. To him, a good manager is someone who has a philosophy, outlook and mandate that aligns with his client’s needs. They also need to be good communicators and can explain to clients, through road shows, conference calls and TV interviews, how they choose stocks. The advantage of choosing managers over stocks is that Mr. Tanner can choose a fund run by someone who has a particular style and risk-tolerance level. For example, Mr. Tanner might invest his more conservative clients with someone who is focused on preserving capital, especially when markets are volatile. Clients with higher risk-tolerance levels might invest with a growth-oriented manager who is always trying beat the market. Getting to know a fund manager is not unlike getting to know the captain of a boat you’re about to board, he says. When it comes to choosing funds to own, many advisors and investors are too focused on how the fund performs in good times. It’s also important to know how the fund does on the downside. By focusing more on the manager than the fund and its holdings, advisors can get a better idea of how the fund performs in more volatile markets. Choosing managers over stocks can also help with diversification. For example, Mr. Tanner may invest with a manager who doesn’t favour Canada, but then mix it with others who are optimistic about the country’s economic outlook. He doesn’t want every manager to have the same opinion. In some ways, choosing managers is similar to picking stocks in that you still have to do some research on each person before deciding whether to entrust your clients’ money to them. That’s why some companies have created multimanager solutions, where their experts choose which managers are most suited to deliver the best risk-adjusted returns for clients. For instance, the Sun Life Granite Managed Solutions, which are overseen by the Sun Life Global Investments Portfolio Management Team, hold a broad selection of mutual funds and ETFs, including those from MFS Investment Management, BlackRock and RBC Global Asset Management, to name just a few. Advisors can buy into this solution – it has different options for different risk levels – and instantly get a diversified portfolio of managers that has been vetted by Sun Life Global Investments’ team. 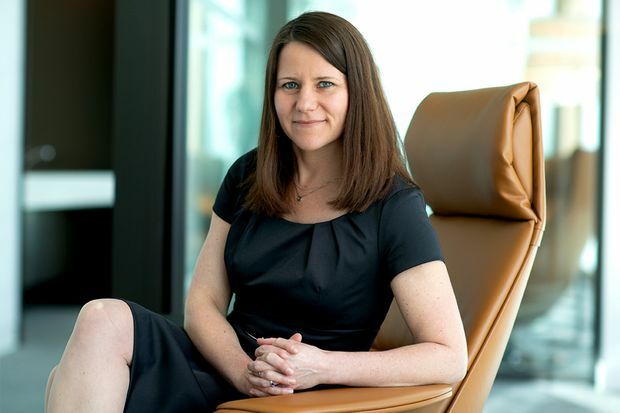 Kathrin Forrest, a portfolio manager with Sun Life Global Investments, says her firm believes in seeking out top-tier managers across asset classes and territories worldwide. This includes looking for managers who are consistent in what she terms breadth and skill. “With skill, it’s how good the portfolio manager is in performing their predictions,” she says, adding that past performance isn’t an indicator of future returns. She points to a niche market such as China, where there may be certain sectors that appear poised to outperform the broader market. An experienced emerging market manager will know where to find the right opportunities in that market. Ms. Forrest says it’s also important to own managers who demonstrate different styles of investing. “Some managers will be more considerate of downside risk, while others might be seeking more risk,” she says. The overall goal is to offer advisors and their clients “consistency, repeatability and sustainability in outcomes,” consistent with their specific investment mandate, she says. That means understanding the investment team behind a fund, including its qualifications, tenure and composition. You also have to know the team’s investment process, including how adaptable it is as markets evolve, and how it manages risk, not just in the markets, but through technology and innovation.